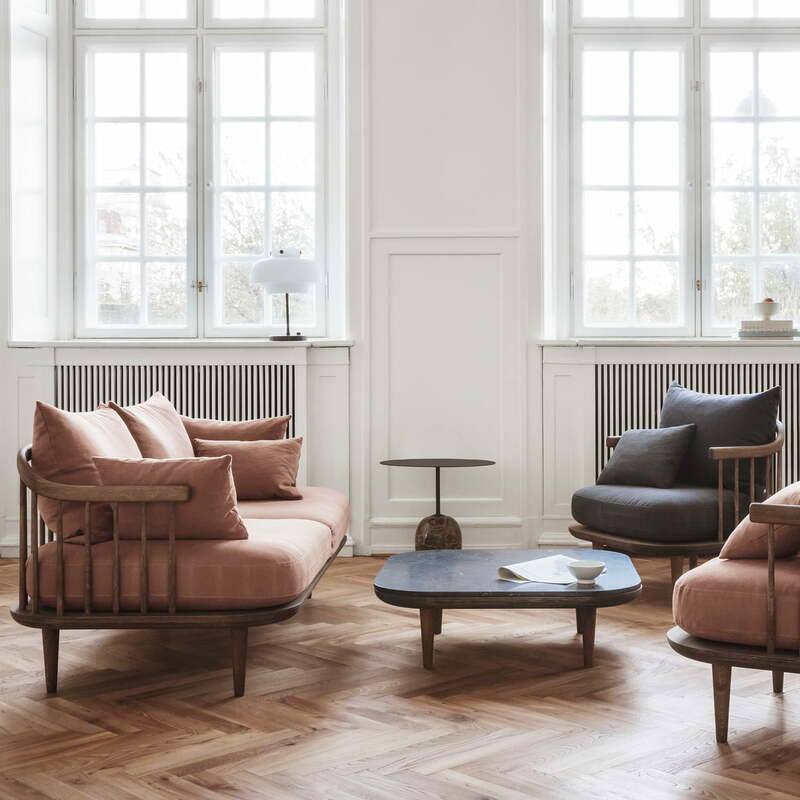 Signe Bindslev Henriksen and Peter Bundgaard Rützou, the founders of the design studio Space Copenhagen, wanted to create a piece of furniture that combined sculptural elements with extraordinary comfort. They succeeded. 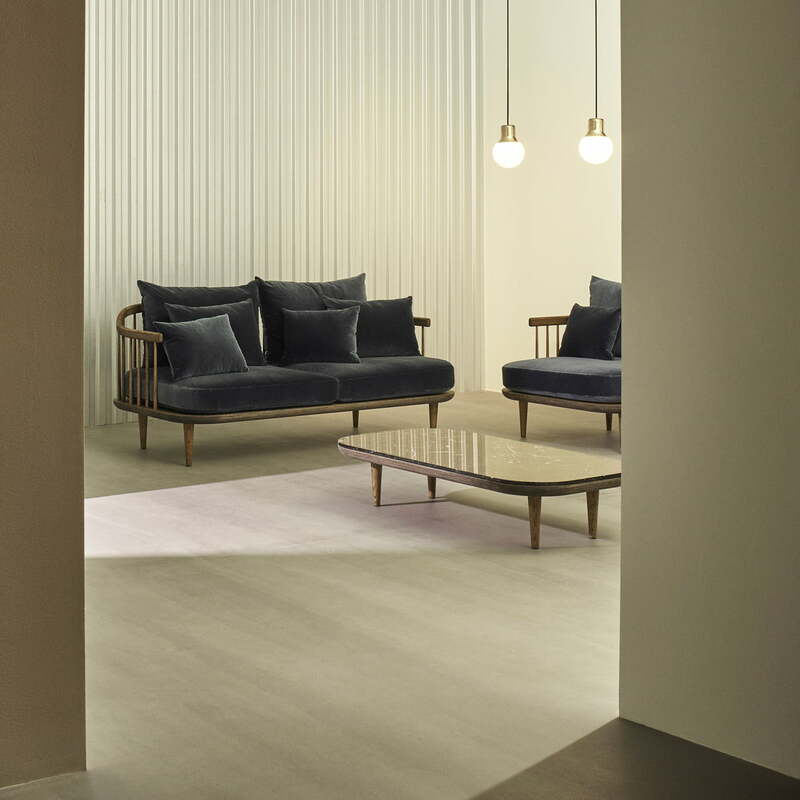 Designed for &Tradition, the Danish design team gave the FLY sofa generous proportions and a striking appearance that invite you to relax. The structure of the backrest consists of numerous wooden slats that make reference to traditional craftsmanship with their organic shape and special construction. Thanks to the elegant back, the sofa can also be placed in the centre of a room. Made from smoked oak, the sofa frame has a natural warmth that receives a modern twist with the generous cushions. The padded cushions, in turn, give the sofa an elegant lounge expression which keeps the balance between traditional and innovative, while the loose cushions allow the user to find a comfortable position. With a width of 162 cm, the FLY Sofa from &Tradition is perfect for the living room, hallway or even the kitchen. Isolated product image of the &Tradition - FLY 2 seater sofa. 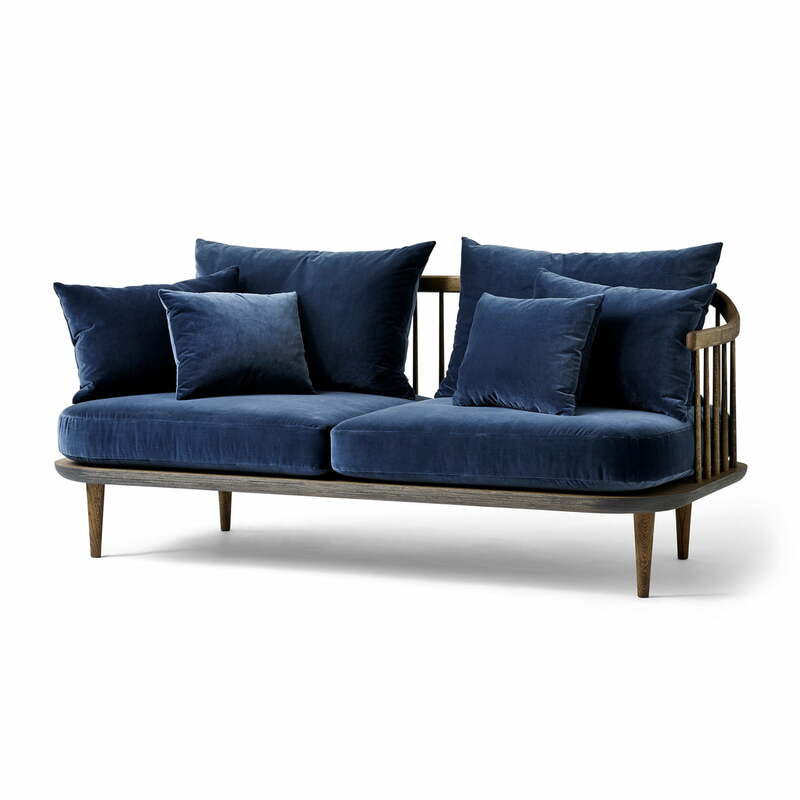 The FLY sofa designed by Space Copenhagen for &Tradition is a piece of furniture that combines sculptural elements and extraordinary comfort. Isolated product image of the &Tradition - FLY 2 seater sofa. 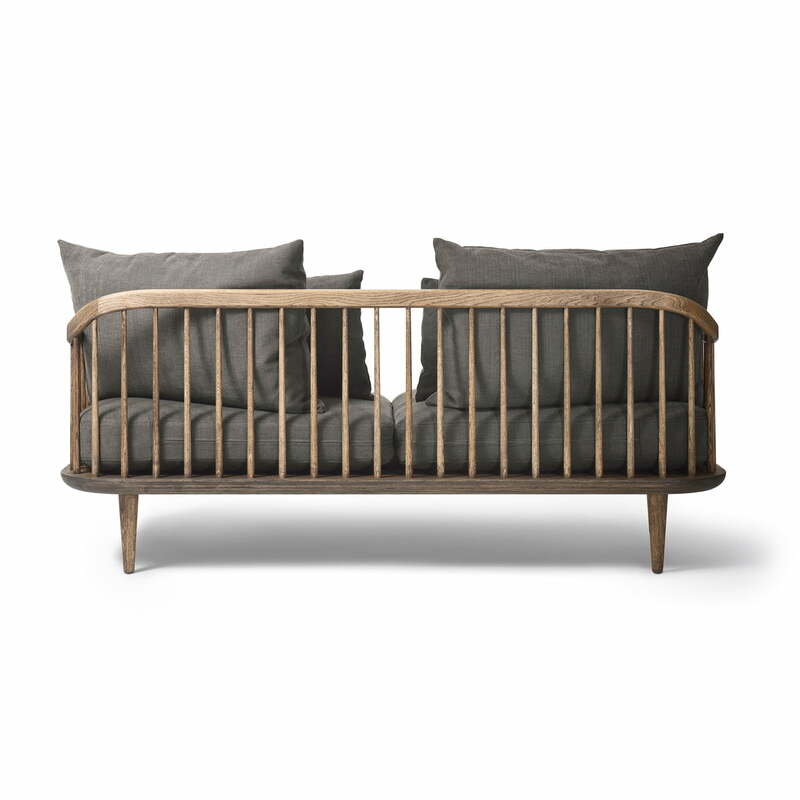 Made from smoked oak, the sofa frame has a natural warmth that receives a modern twist with the generous cushions. Isolated product image of the &Tradition - FLY 2 seater sofa. The structure of the backrest consists of numerous wooden slats that make reference to traditional craftsmanship with their organic shape and special construction. Lifestyle product image of the &Tradition - FLY 2 seater sofa. 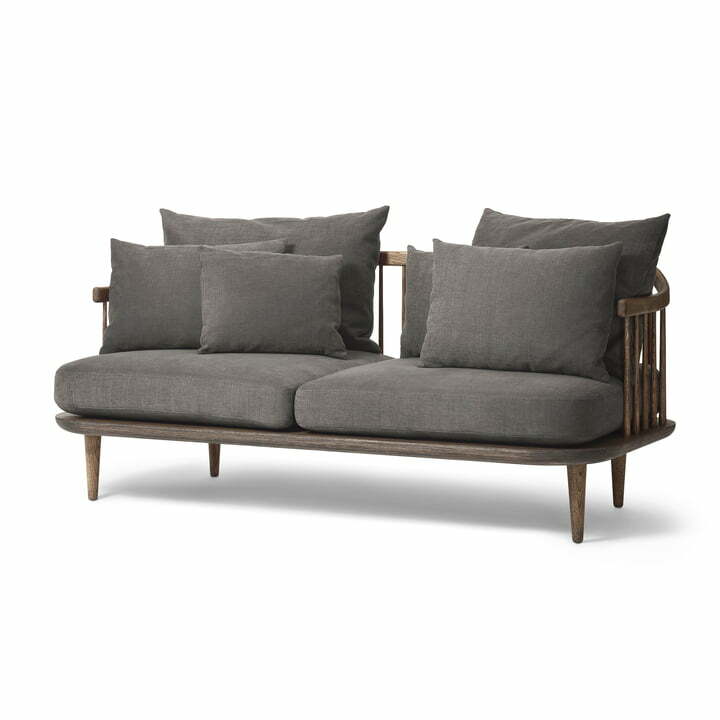 With a width of 162 cm, the FLY Sofa from &Tradition is perfect for the living room, hallway or even the kitchen. Lifestyle product image of the &Tradition - FLY 2 seater sofa. In turn, the padded cushions give the sofa an elegant lounge expression which keeps the balance between traditional and innovative.